Hanna Dabbour is a Chartered Senior Physiotherapist based in Norwich. 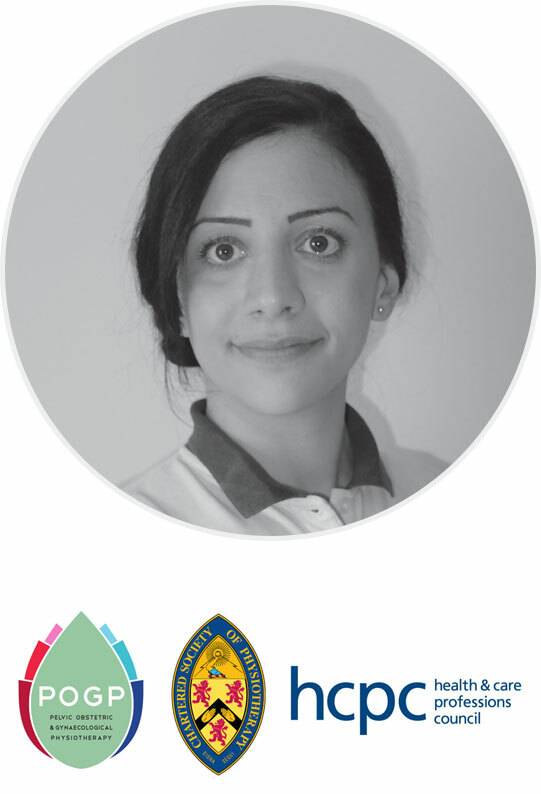 She holds an MSc in Physiotherapy, specialising in Musculoskeletal injuries and Women’s Health issues. Hanna has extensive knowledge in treatment of musculoskeletal problems linked to posture, muscles and joints such as sport injuries, back/knee/shoulder/hip pain or dysfunction as well as a variety of other musculoskeletal issues. Hanna is also a qualified personal trainer with postgraduate education and extensive experience of strength and conditioning as relating to rehabilitation and sports/activities. As a merger of her two specialities, Hanna also provides expert advice for elite athletes wishing to return to sport or high level activity post-pregnancy or after injuries related to Women’s Health issues. As a Women’s Health expert Hanna specialises in pelvic dysfunctions (including vulvodynia, endometriosis, dysmenorrhoea, dyspareunia and sexual issues), incontinence and postnatal rehabilitation and advice, such as for pain, tears, C-sections and the safe return to exercise and normal activity. Hanna is also trained in internal and pelvic floor examinations as well as assessment of bladder and bowel problems. In terms of this sphere of interest, Hanna has extensive experience with antenatal and postnatal women, having worked in maternity wards and in Women’s Health clinics. Working from her Norwich city centre clinic, Hanna offers private physiotherapy treatment and rehabilitation Yoga and Pilates courses, particularly suitable for those with injuries or other limitations and rehabilitation needs. Physiotherapy treatments offered includes tailored exercise prescriptions, manual therapy, acupuncture, advice and education on the management of your condition. Hanna is also a trained Hypnobirthing teacher, allowing her to leverage her knowledge in Women’s Health and with the antenatal and postnatal experience to offer an evidence-led and clinical course that can help you teach you and your partner to master the physical and emotional aspects of birth. If you would like to find out more about how I can help you get in touch today.